We desire to become a church with unwavering confidence in the message of God and undying commitment to the mission of God as we go from Board Camp to the ends of the earth under the power of the Holy Spirit. 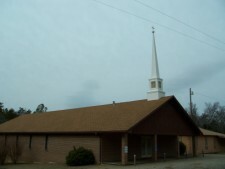 Directions to our church: From Mena take AR Hwy 8 east to Board Camp (appox. 9 miles), turn left on Polk 63. Church is on the left.